We have all heard the latest buzzword and hype around Mindfulness and Meditation, but do we really know what this means and why is it so great? Mindfulness means bringing our awareness back to the present moment and we normally do this by focusing on something like the breath, our body or an object. There are so many reasons (far too many to list here) why mindfulness meditation is so good for us. Mindfulness gives us a deeper understanding of the landscape of our own minds, the way we think, behave and feel – giving us more choice in how we respond to any given situation. If our happiness is always dependent on external ‘things & stuff’ being in perfect order then we will rarely be happy for long because life is an ebb and flow of ups and downs. Mindfulness teaches us how to find peace, happiness and acceptance even when things are not how we want them to be and helps us to choose the path of least resistance. From the moment we wake until the second our head hits the pillow, we find ourselves carried away by a noisy narrative which keeps us totally in our heads and disconnected from our bodies and complete sensory experience. Our ‘monkey mind’ chatters away on ‘auto pilot’ and most of don’t realise how the way we think affects us. Mindfulness is the practice of slowing things down, turning off the auto pilot and learning how to reconnect with the present moment. We begin to observe the chatter of our minds and can learn to accept all of our emotional states without resistance and avoidance. The purpose of meditation is not to stop thoughts, but to stop thoughts controlling us! Biology now proves that thoughts directly shape our physiology - a stressful thought creates a stress response in the body and an imagined or perceived stress is no different to a real one, the brain knows no different! So mindfulness truly is so important for our well being – our renegade thoughts are literally making us unwell. So lets get Mindful! And before you think “but I don’t have time for it, I’m too busy, sitting is uncomfortable etc”, let me tell you that mindfulness meditation is so much easier to practice than you realise. In my workshops and classes, we learn basic breathing techniques, what might be considered the basic foundational exercises of Mindfulness and how to incorporate it into our everyday life. We use mindfulness as a tool for not only deep relaxation and connection, but also for healing, emotional resilience, gratitude and motivation. And we learn how to turn our busy lives and routines into our own personal mindfulness programme. One mindful breath has the power to shift our awareness and since we take our breath everywhere, so we have the ability to be mindful whenever we choose. Let’s get conscious, let’s regain control of our monkey minds and switch off the auto pilot. I run workshops, classes and one to one coaching for adults and youths. All my workshops are very practical and experiential and give you a sense of Mindfulness is, what it means to you, and how you can use it to reduce stress in your life. Evening Classes as shown in the green box below. For 2019 workshop dates, please contact me. Supporting and teaching children and teenagers to navigate their inner landscape with compassion and understanding, workshops are practical and enhance resilience and well being using mindfulness techniques, inquiry and creative visualisation. Our aim is to help students reframe and refocus their thinking to support a healthier and happier lifestyle. Classes are run in small groups of 6-8 and we encourage parents to accompany and join the experience (at no extra charge)! I work with two age groups: 7-11 and 12-17. 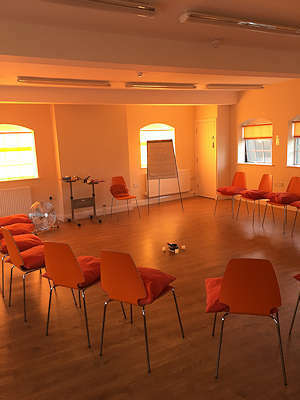 I also run family sessions, where the whole family (all ages) can come together to learn how mindfulness can improve relationships to themselves and each other, through exploration, creative visualisation and relaxation. Join us for 1hr evening classes at 19.45 on Wednesday evenings in Beaconsfield. Explore different types of meditation, and guided visualisations for peace, well being and healing. Holtspur Scout Hall, Cherry Tree Lane, Beaconsfield. Sorry your browser does not support HTML5 audio - please contact me for alternative instructions to listen. The cost of this one day workshop is £75.00. Please note that in order to attend the advanced level workshop, you will need to have attended one of the previous Mindfulness Workshops as above). 10-1pm on Saturday 1st July 2017 - Part 1 at the London Spiritual Mission in Notting Hill.